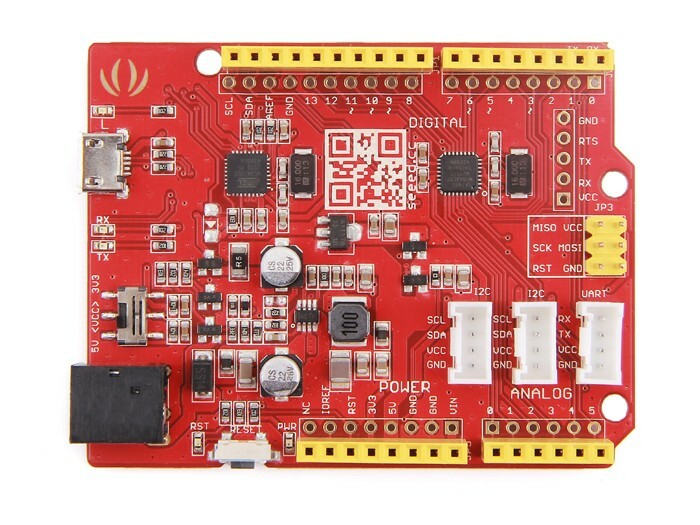 The Seeeduino V4.2 is a Arduino-compatible microcontroller board. 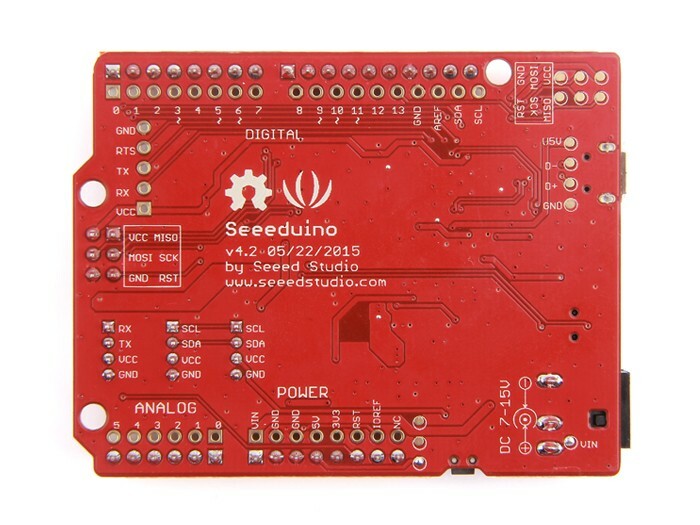 The Seeeduino is physically and electrically identical to the Arduino Uno, except it's in a different color. 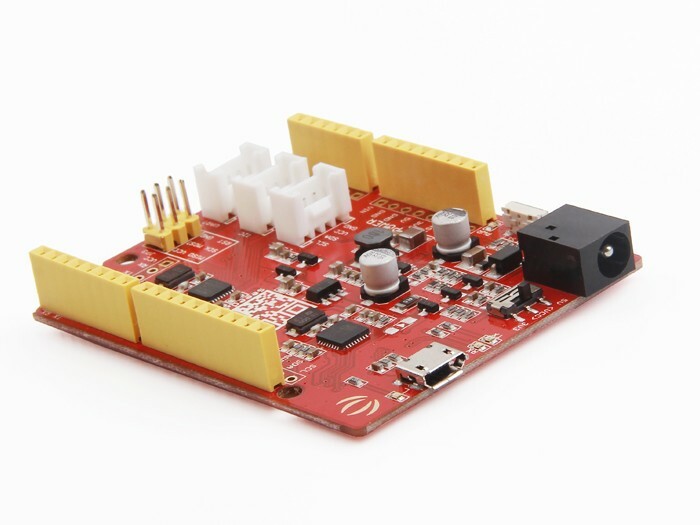 It also comes with two Grove sockets, for use with Grove peripherals and sensors. 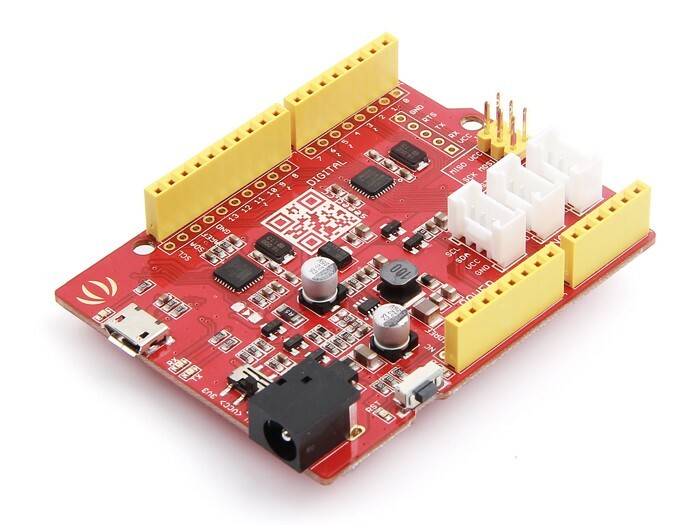 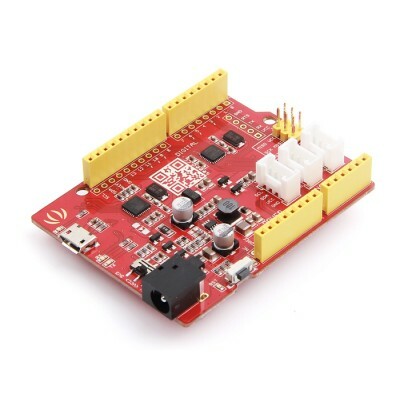 Unlike most Arduino-compatible boards, it can operate in 5V or 3.3V mode, making it fully compatible with low-voltage sensors and peripherals.